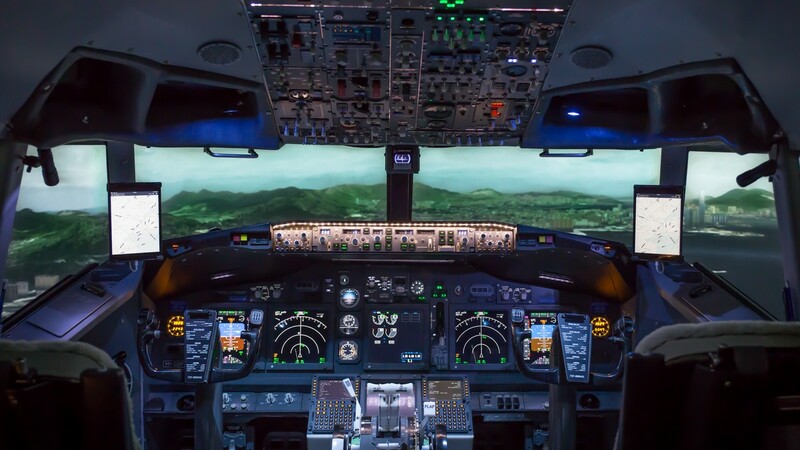 The Boeing 737-800NG home cockpit is designed and built by Gwyn Perrett of Aerosim Solutions in Perth and represents the state of the art in simulation with the major structure and panels crafted by Gwyn using his hard earned engineering skills. This is augmented by hardware avionics from Flight Deck Solutions and CP Flight and the main 737NG systems software and avionics from Prosim737. The flight simulator platform of choice is Lockheed Martin’s Prepar3Dv4.2.